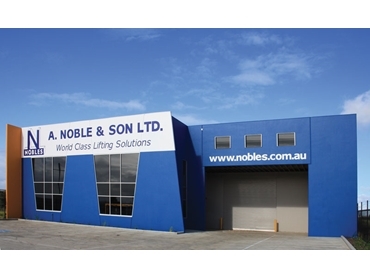 Due to increasing customer demand, lifting and rigging equipment supplier A Noble & Son has announced the opening of its 15th branch. The store is located in Derrimut, in Melbourne’s expanding western suburbs, and already has a fully stocked showroom. With a wire rope press and tensile testing machine also installed, the branch is well equipped to inspect, test and repair the company’s range of wire ropes, lifting and rigging equipment. A Noble & Son will now be able to better service existing customers in the western areas of Melbourne and regional Victoria.